Apple customers spent $10 billion (£6 billion, AU$11 billion) on apps for the iPhone and iPad last year, the company revealed this week. Consumers spent $1 billion (£600,000, AU$1.1 billion) in a record breaking December that saw 3 billion apps purchased. Apple added that since the launch of the App Store in 2008, developers have been paid $15 billion (£9 billion, AU$16 billion). 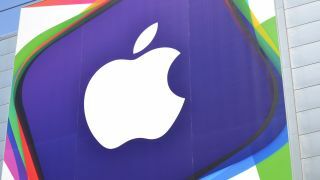 Apple takes a 30 per cent cut of app sales, which suggests that it took $3 billion (£1.8 billion, $AU3.3 billion) last year and paid out the remaining $7 billion (£4 billion, AU$7.8 billion) to developers. This does not include, however, Apple's own paid-for apps. A year ago Apple said that since 2008 it had paid out $7 billion over the entire history of the App Store. The fact that they equalled that figure in 2013 alone implies a massive leap in sales for apps and Apple. The figure also suggests that the app industry is rapidly overtaking music, and may have already done so. Figures are unavailable for 2013 from music sales, but total sales in 2012 were $16.5 billion £10 billion, AU$18.5 billion) according to the IFPU industry body. If Android, BlackBerry and Windows Phone are also taken into account, total apps sales are likely to be close to, if not eclipsing music sales. Apple's senior vice president of Internet Software and Services Eddy Cue said: "The lineup of apps for the holiday season was astonishing and we look forward to seeing what developers create in 2014." More than 1 million apps are available in the App Store, which launched five and a half years ago alongside the iPhone 3G.